Members of the Defense Department express condolences for the two U.S. Central Command service members who died during the weekend, Army Col. Rob Manning, director of defense press operations, told reporters this July 9. While supporting Operation Freedom’s Sentinel in the Tarin Kowt district of Afghanistan’s Uruzgan province, Army Cpl. Joseph Maciel of South Gate, Calif., died July 7 of wounds he suffered during an apparent insider attack, Manning said, noting the incident is under investigation. Maciel was an infantryman assigned to the 1st Battalion, 28th Infantry Regiment, based at Fort Benning, Ga. Task Force 1-28 Infantry is deployed in support of the 1st Security Force Assistance Brigade, the colonel noted. An undated FILE PHOTO of Ensign Sarah Mitchell, 23, from Feasterville, Penn. 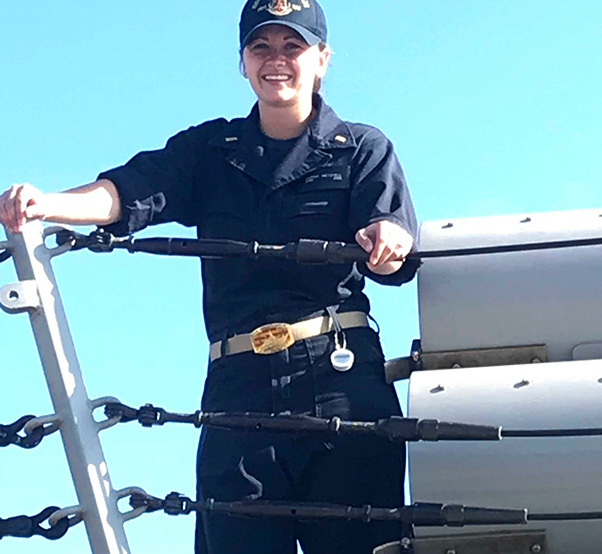 Mitchell died from injuries sustained aboard the guided-missile destroyer USS Jason Dunham (DD 109), July 8, 2018.